Why China’s universities may never make the grade as world-class institutions. No great leap forward: The China Agricultural University in Beijing is among the schools that Chinese party leaders hope—perhaps futilely—will someday rival Harvard. Every March, thousands of representatives from around China descend on Beijing for annual government meetings to lay out directions for the coming year. The so-called “Two Meetings” for the legislature and the political consultative committee—part policy, part show—offer delegates a chance to raise their concerns about what needs fixing and how to do it. In March 2010, Beijing was abuzz with talk about universities: weeks earlier, the Ministry of Education had released a draft of an education reform plan for the next decade that would get rid of “the ways in which schools are run like government appendages.” Key to this change was a policy of “de-administration” (qu xingzhenghua) that would limit the power of government-affiliated administrators in universities. If implemented, it would reorient China’s top schools toward the model of the university as an independent ivory tower, an ideal that liberal academics had long hoped to realize in China. The impetus for change was not confined to academics sitting on campus; the country’s top leadership voiced their support as well. China’s higher education system was still weighed down by remnants of the Soviet era, when the central government refashioned universities as specialized technical institutes under tight central control. More autonomy, leaders hoped, could propel China’s top schools into the upper echelon of global universities alongside the Harvards, Stanfords, and Oxfords of the world—able to command greater international respect and train future innovators to drive China’s economy past the middle-income trap. The de-administration of universities would allow China to compete in the twenty-first century, in terms of both higher education and economic growth. Zhu Qingshi, the former president of the prestigious China University of Science and Technology, led the charge for de-administration at the 2010 meetings. A respected chemist and advocate of higher education reform, Zhu had just signed on to lead the newly formed Southern University of Science and Technology (SUSTech) in Shenzhen. Channeling the innovative spirit of a city that had grown from a small fishing village to a global manufacturing powerhouse in mere decades, SUSTech sought to be the first professor-led and bureaucracy-free university. Administrators would not be given government-level rankings like at other universities. Zhu and the reformers in Shenzhen envisioned a Chinese university more like the California Institute of Technology than Tsinghua University or Peking University, the top universities in China. Frustrated with Chinese universities’ inability to cultivate enough talented, innovative graduates, Zhu wanted China’s leading universities to bring together the synergies of teaching and research. Within ten years, Zhu said, SUSTech’s new model of Chinese higher education would position it among the top universities in Asia. It was a bold plan, and Zhu charged ahead. Rather than gradually push the envelope of reform, Zhu quickly instituted structural changes that went further than any other top university in China. He wanted to bypass the national college entrance exam and allocate the authority to issue diplomas to the school itself, rather than central government agencies. The Ministry of Education, unwilling to accept this ambitious slate of changes all at once, balked. The forty-five students in SUSTech’s first class, which did not take the entrance exam, were not awarded official diplomas by the Ministry of Education. The scope of reform was scaled back. Zhu retired a few years later, his goal of major higher education reform unfulfilled; he ducked out of the spotlight to live a quiet retirement in his old hometown, where he spends his time studying the philosophy of nature. In the more than twenty years since former President Jiang Zemin launched a campaign to build 100 “world-class universities” in China by the end of the twenty-first century, China’s central government has poured funding into the country’s leading universities. Policymakers allocate extra resources to a group of the country’s top schools, and give even larger amounts to a more select group of the most elite institutions. Yet in dozens of interviews with professors, students, and administrators within China’s universities, the tone is far less positive. China’s research and teaching quality are improving, but much more slowly than the rankings suggest. Nearly anyone who has worked or studied in a Chinese university, even the most well-funded flagship schools, will tell you that the quality of the education still trails top foreign schools by a wide margin. Those who can afford an education abroad vote with their feet: more than 300,000 Chinese students studied in the United States last year. Most foreign observers place the blame on worn-out tropes, such as limited academic freedom or the inability of students to think critically due to the rigid teach-to-the-test education in middle and high schools. These criticisms are at best tangential, if not flat-out wrong. Few, if any, Chinese academics or foreign scholars in China say that direct government censorship is among the biggest problems facing China’s higher education system. And recent research from Stanford found that Chinese students entering college actually have better critical-thinking skills than their peers in the United States. The advantage dissipates, however, during the college years—suggesting that the problem lies within the higher education system, not outside of it. Officials acknowledge that the power of school administrators is at the root of the problems that stymie the creation of a better university system. “This bureaucratic structure runs counter to the rules of academic development,” Wang Feng, of the Ministry of Education’s Educational Development Research Center, told People’s Daily late last year. At the 2010 Two Meetings, then Prime Minister Wen Jiabao said, “There is a notable gap between domestic and foreign universities: foreign administrators serve academic ends, and professors have a powerful voice; but domestically, there is too much administrative control over academics.” Delegates have raised the topic of de-administration at the Two Meetings every year since Zhu and others brought it to the fore in 2010; the newly appointed president of Peking University used this year’s gathering to call yet again for more de-administration. Yet more than two-thirds of the way through the Ministry of Education’s decade-long plan, de-administration efforts have failed to make significant progress. Funding has increased, and teachers’ qualifications have improved, but no school has managed to eliminate the system of government rank for university administrators, and only a handful of schools have managed to even move toward an open selection process for the school president. “In terms of schools themselves, government management style and school functional structure, administrative power has actually gotten even stronger,” says Xiong Bingqi of the 21st Century Education Research Institute. Education reform, like numerous other policy areas in China, is hemmed in by intractable political and institutional constraints. After all, the control provided by the administrative structure has allowed China’s universities to expand and gain prestige while containing political fears of campus dissent. It is these constraints that set China’s problems apart from those in the United States, and render simple solutions obsolete. The process of moving back to China was not an easy one for Bai Tongdong, a Confucius scholar. In 2010, Bai gave up a tenured philosophy position at Xavier University in Ohio to join the faculty at Shanghai’s elite Fudan University, where he would have the opportunity to train China’s best and brightest young minds. All universities around the world, even leading American schools, are constantly struggling to stem the tide of over-administration. But the administration that suffocates China’s universities is fundamentally different from that in the United States. The balance of power in American universities has shifted in favor of ever-increasing numbers of administrative staff, leading to out-of-control costs and a smaller share of resources dedicated to academics. But faculty members in the United States retain the power to set priorities within their universities and departments. The job of administrators is to support research and teaching, and well-known faculty members still command the highest respect on campus. In China, however, over-administration is a question of political power. Administrators have political standing on par with government officials under the strict, status-driven hierarchy of the nomenklatura system. Under this system, a departmental dean at a national Chinese university like Tsinghua enjoys the same political rank as a county-level governor, while the president of the school is equivalent to a vice minister in the central government. It is this system that skews incentives in Chinese academia, as one young lecturer at Renmin University of China, or People’s University, explained. If Professor A is a renowned scholar, and Professor B is the departmental dean, Professor B will always have higher status because he is an administrator. 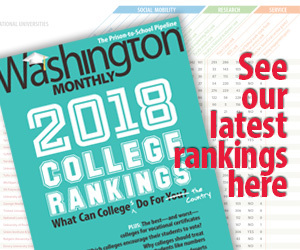 Anything Professor A wants to do—obtain research funding, invite guest lecturers, offer new classes, get reimbursed for expenses—must be approved by Professor B or multiple other levels of government-ranked administrators, deans, or directors, who may have only a tenuous connection to academic teaching and research. Professor A will have little power, money, or autonomy. In China, teaching assistants are a rare luxury; professors rarely assign any shorter papers, essays, or tests besides the final exam or paper because they have no time to grade them or give feedback. As a result, the ultimate goal for many academics is not to do top-quality research, as Zhu Qingshi argued in 2010, but to find a way to become an administrator. This creates fierce competition for a few administrative positions, at the cost of academic research and teaching. “If a research project reduces the chance of becoming an administrator, such as needing to take a year to do fieldwork somewhere, then you won’t do it,” said Daniel Bell, a philosophy professor at Tsinghua. At top schools, academics have plenty of money available for research that is in line with the government agenda. But there is little time to actually do it, professors say, given that they are the ones also supporting administrators’ needs. Professors have to organize and file reimbursements themselves, an extraordinarily complicated and time-consuming process; the reimbursement rules have become so strict under the government’s anti-corruption campaign that some professors have simply given up on getting paid back. Younger faculty I spoke to feel an incredible pressure simply to stay afloat, given all of the responsibilities they have in addition to academic work. Only after spending a full day doing other work, such as supervising groups of students, welcoming foreign professors, and, of course, filing reimbursements, will a young scholar start to concentrate on doing research. Not that students want more work; when a student at Renmin University told me that she takes up to twenty classes per semester, I was shocked. She told me not to worry: sitting in class from eight a.m. to nine p.m. every day was doable because there wasn’t much homework. Professors know the students have no time to do it, and the students know the professors have no time to grade it. The problematic administrative structure is not without its benefits, however: there is no danger that China’s schools will face the over-administration problem that plagues universities in the United States. The rigidity of the Chinese civil service system limits the number of administrators any university can have, thereby obviating the threat of administrative bloat and increasing nonacademic costs. “All this money has flowed into Chinese universities, and there’s been a gigantic expansion of students, teaching staff, and postdocs—but not of administrators,” said Elizabeth Perry, a political scientist at Harvard. Those who do achieve a coveted administrative position end up with both power and status, but the number of administrators cannot endlessly proliferate because the number of civil servants—as well as tuition restrictions—are set from above by the state. With little to show for their efforts thus far, central agencies are again focusing their efforts on policies to improve the higher education system. In November 2015, officials announced a “World Class 2.0” plan that called for making China a global education powerhouse by 2050. Plans are under way to retool the hierarchical system that funnels vast quantities of special funds to the most elite schools, like Tsinghua, Fudan, and Peking University; the existing policies have led to massive funding gaps between the few elites and the rest. At this year’s Two Meetings, the former president of Guizhou University caused controversy when he said that the past thirty years of government funding at the school amounts to less than what Tsinghua receives in three months—despite Guizhou University’s being part of the original world-class university campaign. Nor can Communist Party leaders overlook the potential political consequences of granting universities and faculty true autonomy. University campuses around the world serve as hotbeds of protest and social dissent; in China, university students were the spark for the protests that culminated in the brutal crackdown in Beijing’s Tiananmen Square on June 4, 1989. Since then, university campuses have been extremely quiet; the only protests organized on college campuses have been those for pro-nationalist causes, often encouraged by officials. The current administrative structure allows leaders in Beijing to exercise greater control over the most influential universities and tools for intervention. Separating schools from the central administrative structure could jeopardize this control, making deep reform a political nonstarter. Even the policies that expanded the higher education system were first and foremost about regime stability: political scientist Wang Qinghua notes that the driving force behind the expansion of China’s higher education in the late 1990s was the palliative effect that increased enrollments could have on unemployment in the aftermath of the Asian financial crisis. The education policy’s “side effects on higher education were of secondary importance when the Party considered that its rule was threatened,” wrote Wang in a 2014 paper. The quality of Chinese higher education still trails top foreign schools by a wide margin, which is why so many Chinese students vote with their feet. More than 300,000 Chinese students studied in the United States last year. A slowing economy—and thus a greater potential for social unrest—further diminishes the prospects of reform. Even nationalist protests, often encouraged, are now too dangerous. Immediately before an international tribunal ruled against China over its territorial claims in the South China Sea this summer, university officials in Beijing released a preemptive note demanding no protests or assemblies, even though the protestors would have been supporting the government’s position. What is left is a series of small tweaks to the existing structure. Despite the cavalcade of new, seemingly useful policies, changes that would move the university away from being a danwei, or government service agency—what both Zhu Qingshi and the education reform plan vowed to do—have not budged. For some, this eliminates the possibility that Chinese schools can ever reach the top echelon of the global education elite. “Chinese universities cannot be world-class universities, because they are danwei first and university second,” a professor at Peking University told me. But others are less sure. “Higher education is never politically neutral,” says Michael Gow, a researcher of Chinese higher education at Xi’an Jiaotong-Liverpool University. Few, if any, scholars believe that Chinese higher education should directly mimic American schools; articulating the Chinese alternative, however, has not been easy. President Xi Jinping’s calls for a world-class university with “Chinese characteristics” have sounded far more like an attempt to impose central ideological control on higher education than a way to promote a constructive alternative to the American model. In Shenzhen, the first lecture that incoming students at SUSTech now hear is a history of the school’s founding. In a country that wears its 5,000-year history on its sleeve, a school less than a decade old is still lying swaddled in its crib. Students listening in the lecture hall are moved to tears. “Actually implementing education reform is not an easy task,” one student wrote after last year’s introductory lecture. “But in twenty years, when foreign visitors come to China, they won’t look to Tsinghua or Peking University. They’ll look to SUSTech.” China’s goal of becoming an education powerhouse may depend on it. Josh Freedman is a writer and researcher based in Beijing.